Driving and removing of machine screws, wood screws, tapping screws, etc. 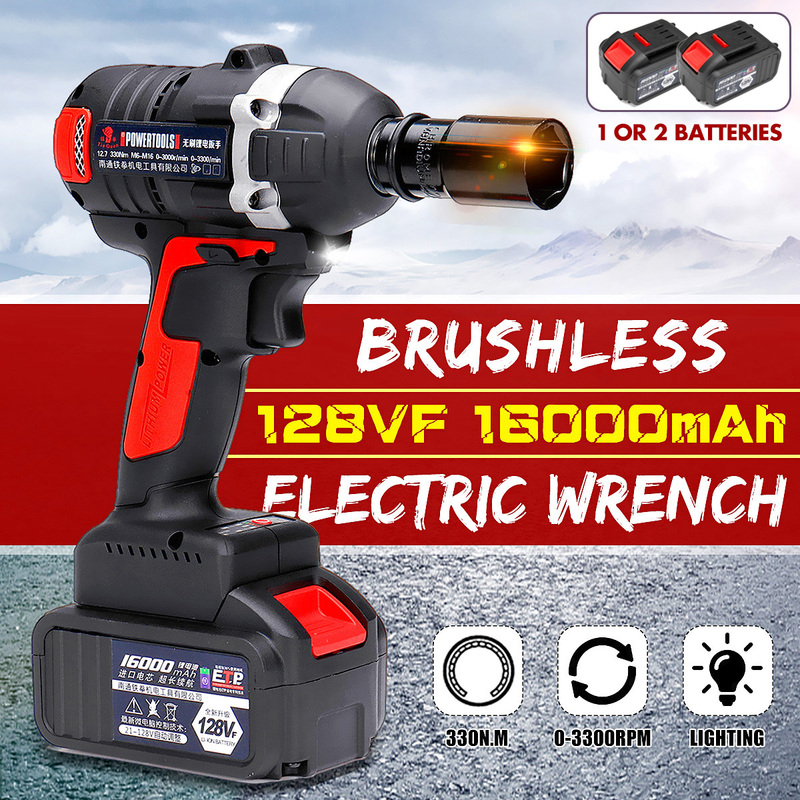 – Cordless electric impact wrench, powered by Li-Ion rechargeable battery. – Powerful brushless motor deliver up to 330N.M torque for efficient impact. – Variable speed trigger for excellent stability and control. – 3 in 1 switch for forward / lock / reverse motion. – Built-in LED light illuminates dark work spaces. – Large capacity battery for long running time. – Anti-slip soft grip makes it easy and comfortable to hold.